Having watched Sean Connery play James Bond, we move on to watching Sean Connery in the only role that earned him an Oscar. 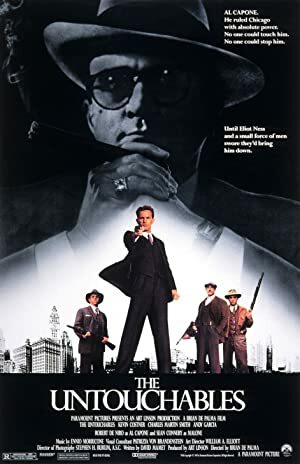 Alex Wick joins us for The Untouchables, a Brian De Palma directed crime drama about Chicago and Al Capone. The movie features some fantastic set piece action as well as several truly riveting performances including Connery’s Oscar winning turn. We also gush all over Ennio Morricone’s score because how can you not? Next up, we take a look at the only George Lazenby Bond film, On Her Majesty’s Secret Service! 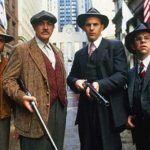 Plot: During the era of Prohibition in the United States, Federal Agent Eliot Ness sets out to stop ruthless Chicago gangster Al Capone, and because of rampant corruption, assembles a small, hand-picked team to help him.